The Red Lake Gold Mines, located in Northwestern Ontario, is owned and operated by Goldcorp Inc. The mine is comprised of the Red Lake Complex and the Campbell Complex. In 2003, Cementation secured the contract to design and sink the No. 3 Shaft, and design the associated surface plant infrastructure. Merging engineering and construction capabilities, the work was carried out as a design-build project. The No. 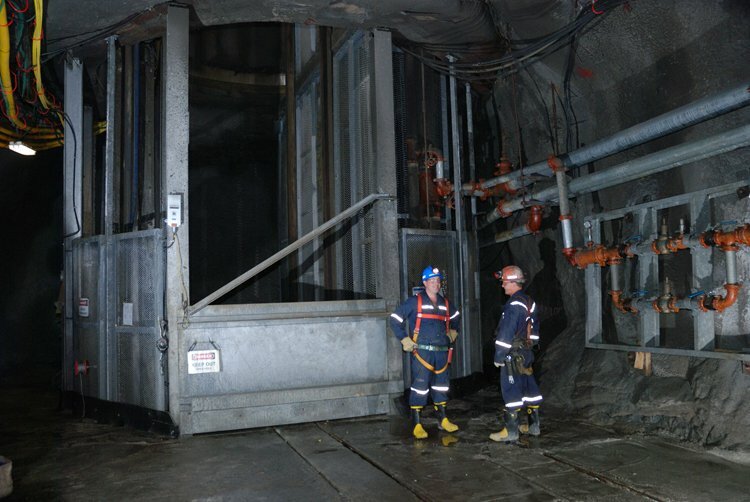 3 Shaft, a key element in the mine's expansion, was sunk 2179 m from surface with a diameter of 6.55 m. Upon completion of the shaft, Cementation was retained to operate the shaft facilities. Concurrent with the sinking project, Cementation was awarded and started the raise boring of the ventilation circuit for the new No. 3 Shaft in 2005. This project included the drilling of two raises at a diameter of 4 m and two raises at a diameter of 5.52 m for a total of 1945 m. The two raises with diameters of 5.52 m were completed in-line for a total length of 1010 m. This project set a record for the longest, largest diameter single pass raise bored in the Canadian Shield at 694 m long, 5.52m in diameter and completed without any injuries.